A lot of people tell me that they don’t like mushrooms, but I have a sneaking suspicion that they just haven’t had them cooked properly. 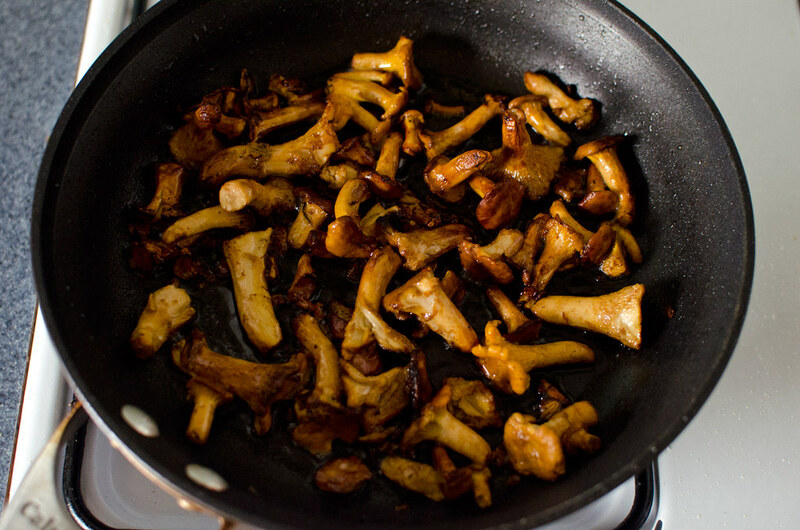 Its true, sometimes mushrooms can turn out slimy (which isn’t necessarily a bad thing), but cooking them so that they are deliciously crunchy and chewy is actually really easy. All it takes is some patience. I picked up some beautiful mushrooms while in Brighton Beach the other day, and I’ll show you just how easy it is. First things first — clean the mushrooms. Mushrooms grow in dirt and feces, so they need to be cleaned before cooking. 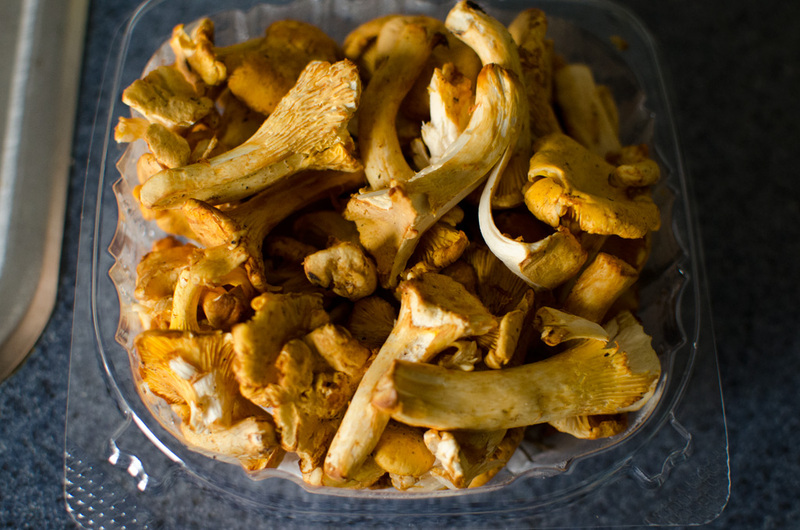 Don’t believe the urban myth about not washing mushrooms; it’s got to be done. Give them a quick rinse just before cooking, and then wipe them off with a paper towel to dry them and remove the dirt. In a large, shallow pan heat up some olive oil. If your mushrooms are in big pieces, cut them into chunks. 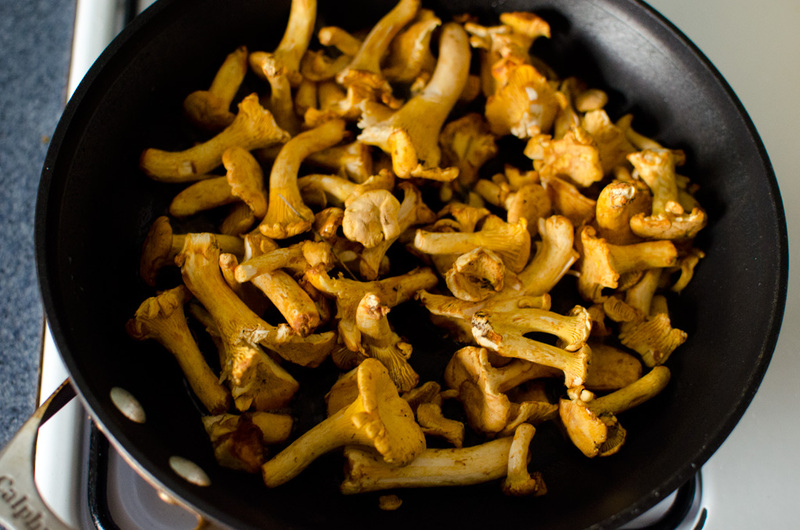 Let the olive oil get really hot, and then add the mushrooms. Now the hard part: do nothing. Let the mushrooms cook. Sure, you can give them a quick stir once they go in, to make sure that all of them are touching oil, but then walk away. Just leave them alone. You don’t even have to watch them, but you should listen to them. yes, listen to them. You will hear a change in the sound of the cooking mushrooms as the liquid cooks out. When you hear that noise (and you will notice a difference), stir the mushrooms again so the uncooked parts on top are now on the bottom, where the oil is. The mushrooms should be browning nicely at this point. You see, mushrooms have a lot of moisture in them, and the trick to cooking them well is to release as much of that moisture as possible. Notice how the volume of the mushrooms has decreased dramatically after lots of cooking — that’s all water weight. Once you’re at this stage, with everything brown and crispy, add some salt. You shouldn’t add salt any earlier, because the salt will pull the liquid out of the mushrooms too quickly and they’ll end up braising in their own juices. (That’s how you get slimy mushrooms, by the way.) After adding the salt, stir everything and let the mushrooms cook some more. Yes, some more. After a minute or two, you’re finished. Pull them out of the pan and enjoy them. Mushrooms are packed with umami, the savory flavor that we humans crave, and making them salty and crispy only adds to that. Follow this method with any type of fresh mushroom, even the ubiquitous white button mushroom, and it will make a mushroom lover out of you.